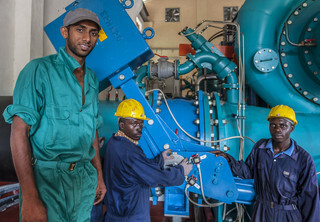 Norfund's investee, Lake Turkana Wind Power, is identified as best example project in renewable energy, community engagement and alleviating poverty. Norfund has made a loan investment to Nyama World Limited, a fully integrated beef production company in Malawi. All livestock are sourced, produced, processed and sold in Malawi. Skal fattigdom utryddes, bør målet være flere investeringer i fattige land, ikke færre. Og nettopp det er Norfunds mandat. En uavhengig forskningsrapport understreker behovet for investering gjennom tredjeland, men oppfordrer til mer åpenhet i bruk av slike såkalte skatteparadiser (OFCs) for investering i utviklingsland. Norfund welcomes Tove Stuhr Sjøblom as a new member of the board. She replaces Borghild Holen who has been an active and valuable board member since 2007. "China's role as investor in emerging markets" and "Why DFIs need to use OFCs" are the topics of the next seminars. Please register now. Norfund opens a new office in Accra, Ghana. This month, Norfund has opened a new office in Accra, Ghana and is ready to start investing. “Initially, we will focus on investments in Ghana. After some years we will probably expand to other English speaking countries in the region“, says Norfund Executive Vice President Finn Ivar Marum. Norfund's Report on Operations 2016 is available now and gives you the highlights from last years investments, successes and challenges.